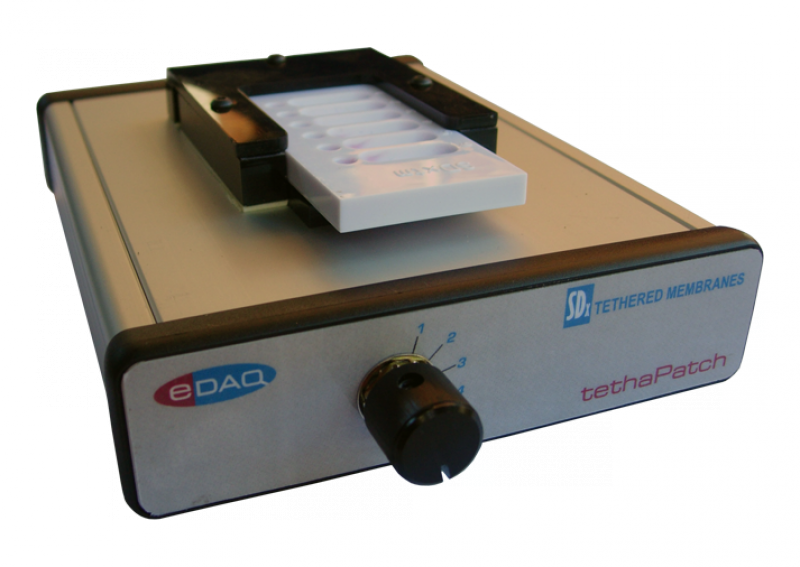 The tethaPatch™ is designed for use with a tethaPlate™ for patch-clamp style experiments with a ER466 Potentiostat system on tethered membrane preparations. The six separate chambers of the tethaPlate can be addressed individually for convenient replicate experiments, or separate experiments can be performed in each chamber. Front panel: Six way selectror knob. Three 2 mm sockets (for potentiostat electrode leads). One 4 mm socket for chassis ground.